Thanks for the update Vickster3659. I will ask one of the Admins to have a look into your profile settings. Check (if available) and click on the button. Turn off your antivirus program. See here how to do this. 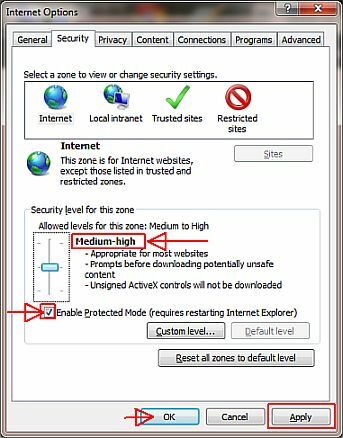 Check the option beside: Enable detection of potentially unwanted applications. Click on the Change button and select only Operating memory, Autostart locations and drive C:\ to be scanned. 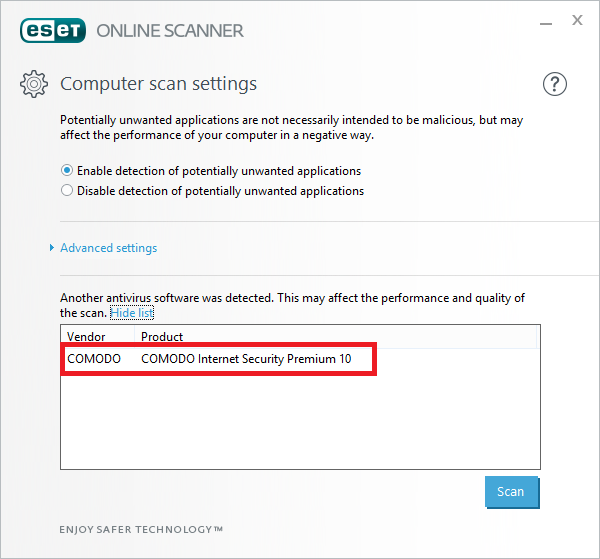 When the scan completes a list of found threats will open automatically (if any malicious files are found). 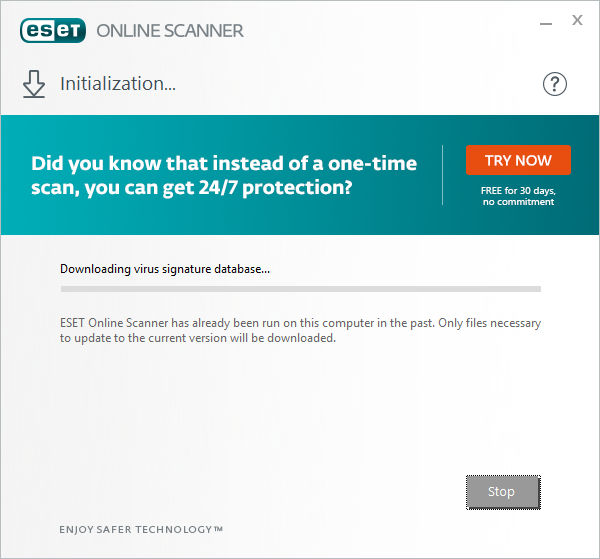 Push the button and save the file to your desktop using a unique name, such as ESETScan.txt. Include the contents of this report in your next reply. Check the box beside to uninstall the application when closed. Push and the close the application clicking the X in upper right corner. It seems my issues are coming from ccleaner.....should I not use it anymore? Using it as a cleaner is fine, but I wouldn't recommend using the Registry Cleaner. CCleaner did get hacked and some malicous code was added to one of its versions (https://www.pcworld.com/article/3225407/security/ccleaner-downloads-infected-malware.html), but they have fixed the issue. The machine looks clean, do you have any further issues? So with that last tool you had me use, you instructed: Push the do not clean button. Doesn't this mean I still have the infection? The Infected version of the installer was 5.33. As Emsisoft quarantined this the other versions of the software should be fine to use. 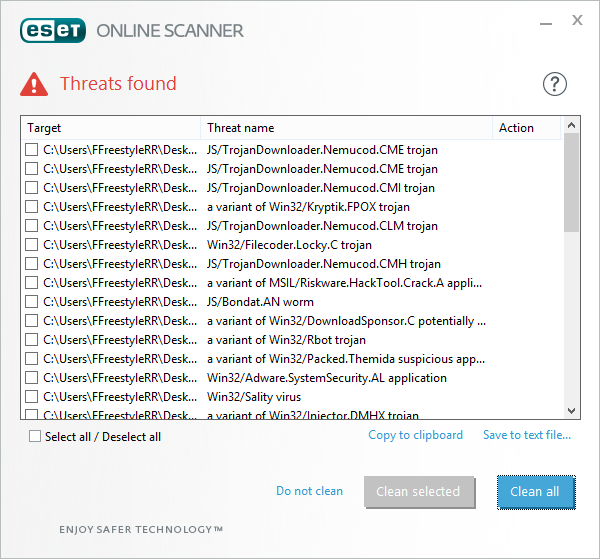 The reason it got detected by ESET is CCleaner comes bundle with some other Installers for programs people may not need or want. Do you have any further issues with your machine? Thank you! It is better. This was not the best computer to purchase, but it fit the budget at the time. One thing I am still not thrilled with is the start up time. I'm sure it's because of some apps I installed upon purchase (printer, for instance). Would you be able to assist with clearing some unnecessary start up processes? Excellent. I would first suggest looking at the programs you have installed and remove any of them you don't use. For Example Citrix Receiver and Spotifiy both have start up calls to start the program when your machine boots up. Thank you. I deleted both those programs. Those are about the only ones I wasn't really using. After deleting both apps, still a bit slow on startup, and also would be great if you can make suggestions on speeding up Chrome, as it takes a while to load. Please run disk defrag on your machine and let me know how this goes. OMG! My laptop is so much better now! I've run defrag before, but it never helped as much as it did this time. Must have been the bug, and the two apps I deleted that were really dragging it down. general-changelog-team.fr’s server DNS address could not be found. Sorry for the confusion. Please go to HERE instead.